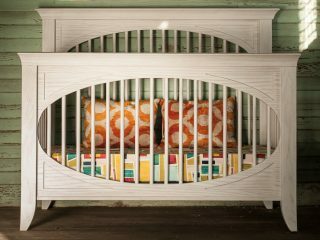 Black and White nurseries are super trendy right now, and for good reason – they’re gender neutral, so you can set them up long before baby comes and they transition really well to toddler/kid rooms. However, when you’re working with two strong contrasting colors such as black and white, you’re going to want to throw some patterns into the mix to make for a stylish room. 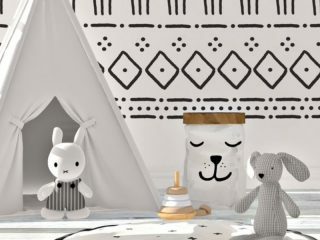 We rounded up nursery essentials for your black & white pattern inspired nursery – plus, head to the bottom of the post for some inspiration help. Crane Drop Ultrasonic Cool Mist Humidifier, black: We have posted many times about why Crane Humidifiers are a nursery essential, so we had to include a plain black Crane Drop Humidifier black and white nursery. 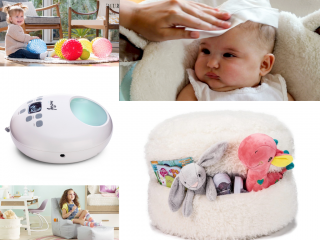 Humidifiers are especially important for Newborns because they are Obligate Nasal Breathers, breathing only through their tiny noses for their first 4 – 6 months. 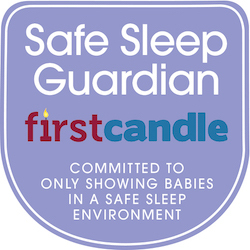 Any congestion can make breathing, feeding, and sleeping incredibly difficult for your little one. 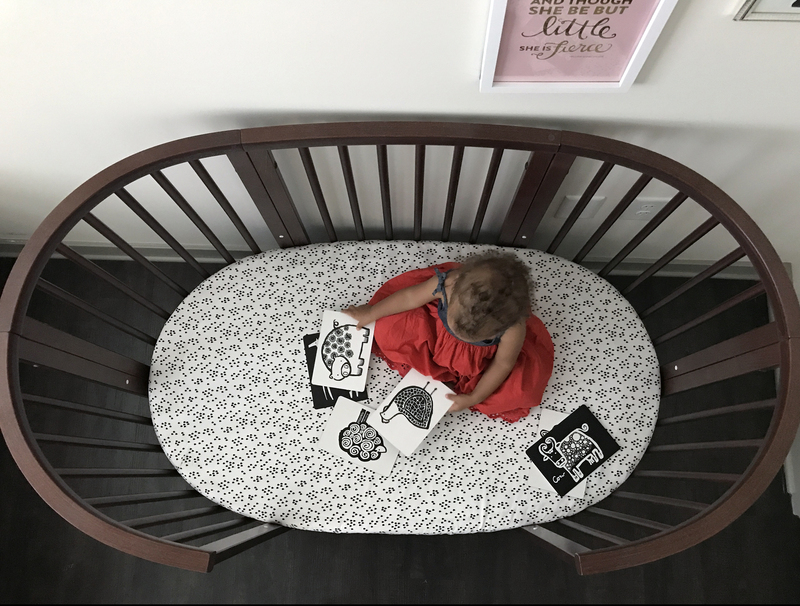 Why not grab this nursery essential in black to match your black and white nursery? Black and White Swaddle Blankets: We love the variety of designs and patterns on these cotton swaddle blankets; plus, the velcro makes for an easy time swaddling baby. Sea Team Foldable Mini Square Storage Containers: These eco-friendly and durable storage containers are ideal for your black and white nursery. 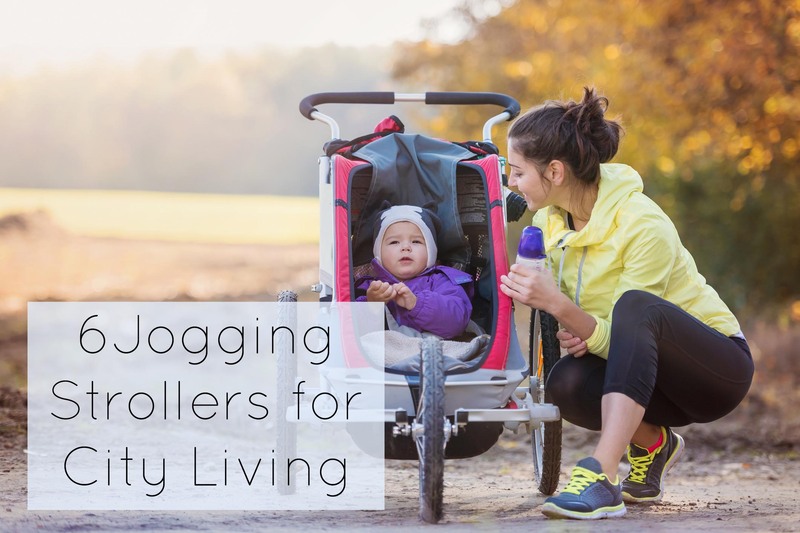 They can hold everything from diapers to toys to clothes. We love the variety of patterns on them, they’re pretty enough to display on a shelf. 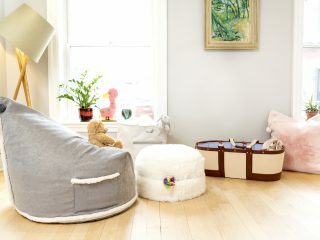 How You Can Use: See Hint Mama’s tips on using canvas storage containers for organizing baby clothes. Black Cloud Changing Pad Cover: This cotton sateen changing pad covers adds black and white whimsy to a drab diaper changing station. 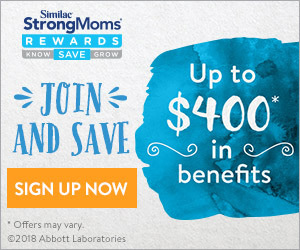 Fabric is 100% cotton sateen, a weave that results in a bright satin-like appearance and feel, providing the optimal mix of durability, beauty, breathability, and ease of care; machine wash and dry. Brooklyn Born Organic Knitted Blanket – Breton Stripe, Black/White: This handsome GOTS certified organic cotton adds sophistication to your black and white nursery. We’re big fans of the Breton Stripe; this blanket is mature enough to transition to a big kid room, as well. aden + anais silky soft swaddle 3 pack, midnight: These silky soft muslin swaddle blankets combines breathability and versatility with oh-so-soft rayon made from bamboo, making it the most luxurious fabric to use on your baby’s delicate skin. 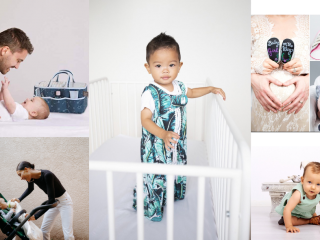 And, as if off-the-charts softness isn’t enough, the silky soft swaddle can also be used as a stroller cover, burp cloth, nursing cover and more. The black and white patterns add to the overall theme of the nursery, not to mention, they look great in photos. Ubbi Steel Diaper Pail, Black Triangles: An Ubbi Diaper Pail is a must have for any nursery; with a modern look, you can add efficiency with an essential nursery item to your nursery decor and not break from the theme of the nursery’s style. The Ubbi Diaper Pail holds up to 55 diapers, and with its powder-coated steel interior, it keeps smells far, far away. We’re loving the ultra-modern look of the black and white triangles, perfect for a black and white patterned nursery! 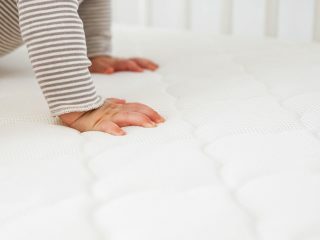 IKEA black step stool: A step stool is an often overlooked nursery essential, but there are many times you may need to reach the top of the closet or shut off a smoke detector. Plus, this transitions really seamlessly into a big kid room. Seeing Spots Dalmatian Baby Bedding, Caden Lane: This adorable gender neutral Seeing Spots Dalmatian design in a black and white style is perfect for an eclectic nursery. We love the fun look of the animal spot design mixed with a fur looking texture which also makes it a perfect choice for a gender neutral room! 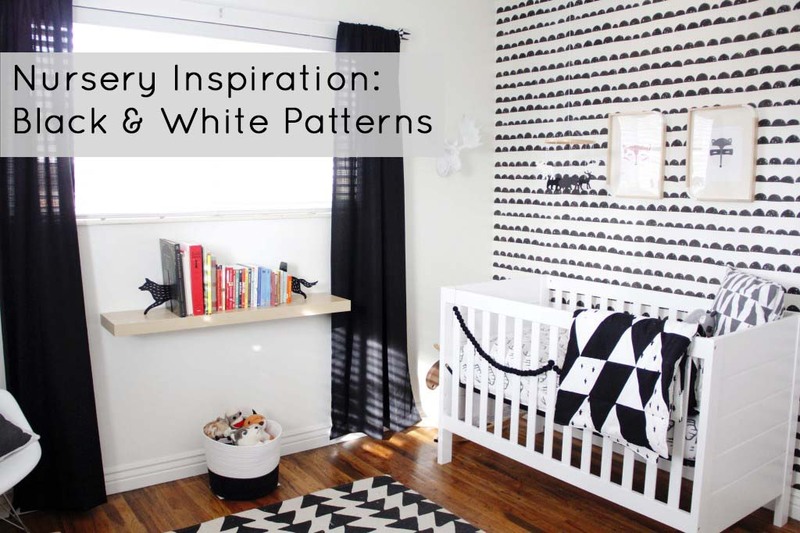 Looking for black and white nursery inspiration? 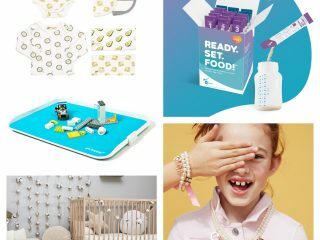 Check out our inspo-board below and don’t forget to check out our Pinterest boards for nursery inspiration, too!